Sony via Columbia Pictures announced today its updated release strategy for the nearly $4 billion "Spider-Man" franchise. 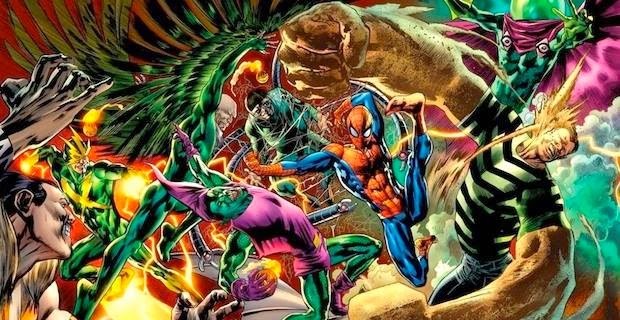 The next film in the series will be Sinister Six, writer-director Drew Goddard's highly anticipated villain team-up, which is the first of several planned character and story expansions. The film, which will be produced by Avi Arad and Matt Tolmach, will hit theaters on November 11, 2016. The studio also announced that it has slated Uncharted for June 10, 2016, a prime summer release date for the highly anticipated film. The movie is an action-adventure based upon the critically-acclaimed and top-selling PlayStation video game series, which follows the adventures of treasure hunter Nathan Drake. Seth Gordon will direct the film. The latest draft of the screenplay is being written by David Guggenheim, and the film will be an Arad/Atlas Entertainment Production, produced by Charles Roven, Avi Arad, Alex Gartner and Ari Arad. The video game series was developed by Naughty Dog and published by Sony Computer Entertainment America, LLC (SCEA). Uncharted takes the date on the release schedule previously held by The Amazing Spider-Man 3. "With 'Sinister Six' in the hands of writer-director Drew Goddard, we feel extremely confident placing the film on a prime date in 2016," said Doug Belgrad, president, Sony Pictures Entertainment Motion Picture Group. Belgrad added, "June 10 is a great date for 'Uncharted.' It's just the right place for this exciting action-adventure film." The Sinister Six are a group of supervillains in the Marvel Comics universe, drawn from Spider-Man's list of enemies. The original incarnation of the group was organized by Doctor Octopus, and first appeared in The Amazing Spider-Man Annual #1 (January 1964).